COLUMBIA, S.C. (AP) - Republican Gov. 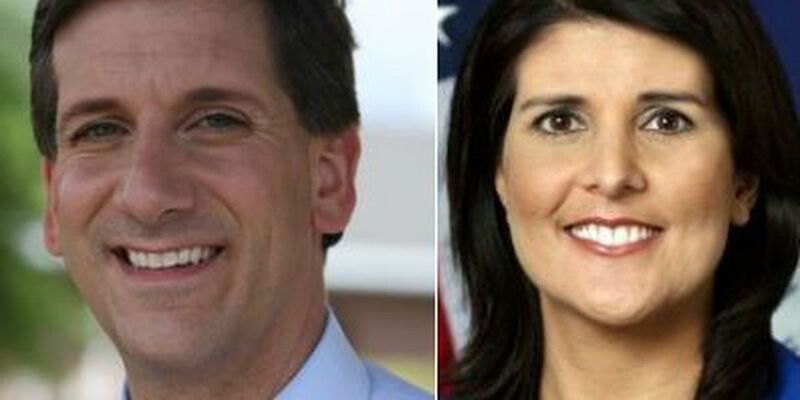 Nikki Haley and Democratic state Sen. Vincent Sheheen raised a combined $1.2 million in the last quarter toward their expected rematch. Campaign filings show donors gave $619,218 to Haley between April 1 and July 10. Donors gave $611,314 to Sheheen between April 10 and June 30. Sheheen says it's a strong showing for just over two months of fundraising, while Haley's adviser notes she still has $1.9 million more in the bank. Sheheen has $571,000 cash available, while Haley has $2.4 million. A 2014 rematch between Sheheen and Haley has long been expected. Haley hasn't officially announced if she's running for re-election. Sheheen announced April 10. More than half of Sheheen's collections came in amounts of $100 or less, and more than 90% came from South Carolinians.